ARIADNE - Broken Demigod from ARIADNE on Vimeo. 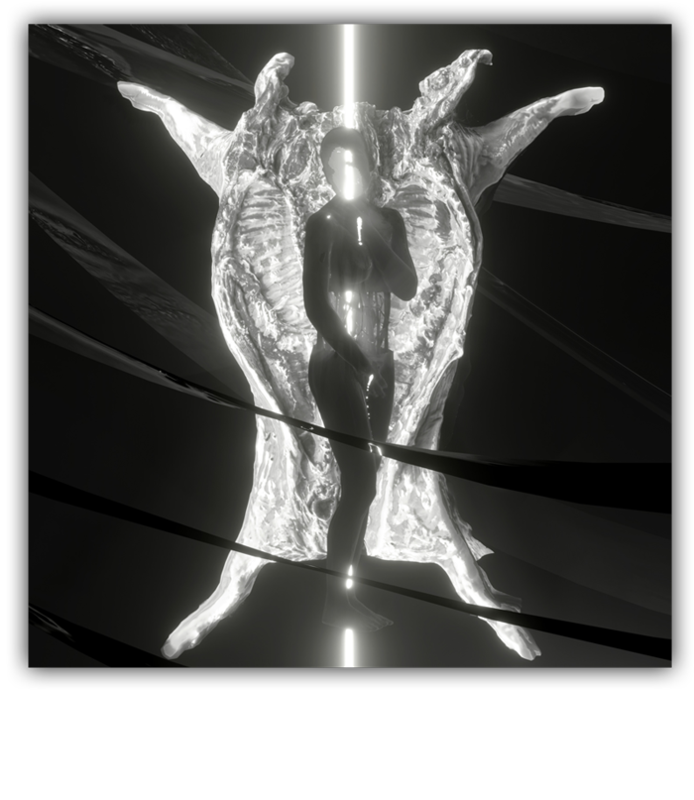 "Stabat Mater is a 20 movement cycle of audio/visual ecstatic visions from experimental sacred audio/visual duo ARIADNE. The cycle is being released as a purely musical work on cassette tape and as an interactive audio/visual web based experience. Stabat Mater is heavily inspired by the visions of female Christian mystics Hildegard von Bingen and Teresa of Ávila. The lyrics for Stabat Mater include adaptations of writings from these mystics fused together with text taken from surrealist poet Aase Berg’s With Deer and Dark Matter (both translated by Johannes Göransson and published by Black Ocean)." "ARIADNE is an experimental sacred music and new media art duo whose work explores the intersection of mysticism, dream analysis and the failure of digital systems through a synthesis of music performance, digital and interactive art, poetry and dramatic experience. With a focus on interspersing the ritualism of ancient spirituality and the secular iconography of the postmodern, ARIADNE flawlessly bridge the two worlds through their intricate musical compositions, striking digital visuals, and captivating live performances."